Here are our paintball masks, battle packs, weapons & protective clothing that we issue to every player at Teamforce. The FT-12 is our standard issue paintball marker due to its reliability and fuss-free nature, this makes it the best option for paintball in Wales. 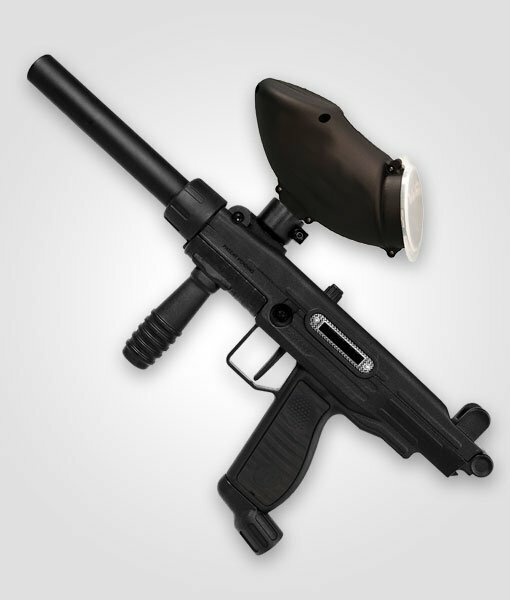 This paintball marker has great reliability& accuracy for both kids and adults! These goggles provide full face and eye protection that has a integral anti-fog lens and nylon stretch straps. 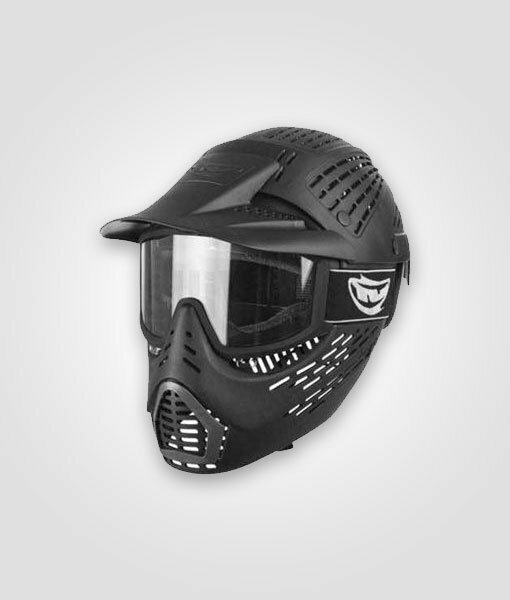 This paintball mask also comes with an adjustable chinstrap to ensure that they are secured properly for maximum safety. Here at Teamforce we have a wide range of overalls ranging from children’s sizes all the way up to XXXL for adults. 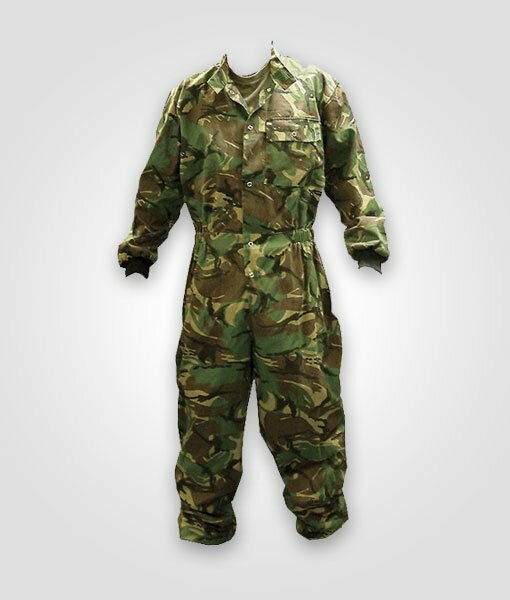 These are great for protecting your clothing when you play paintball at our paintball centre in Wales. 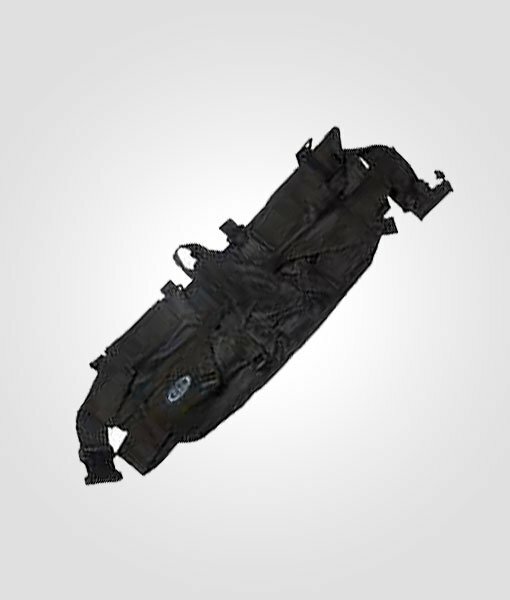 Our Tactical Battle Packs are perfect for carrying extra ammo into paintball missions that require additional supplies. Designed for both children and adults this battle pack can hold extra paintballs, smoke grenades or paint grenades. Our armoured gloves offer additional protection with the protective plastic armour that are available in a variety of sizes. 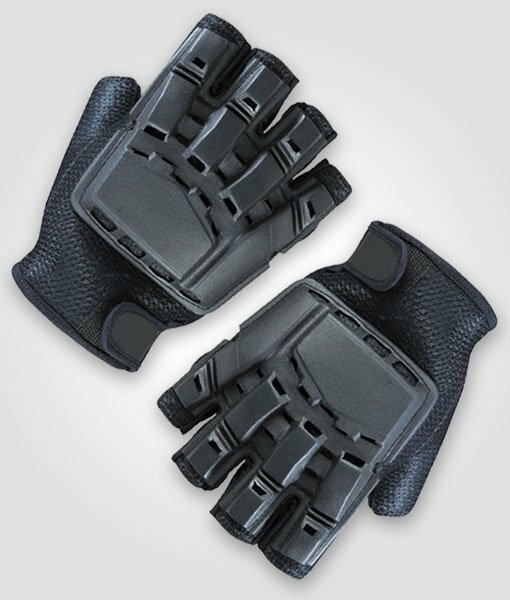 With its padded palms and mesh fabric these paintball gloves offer great ventilation and comfort throughout your paintballing experience. 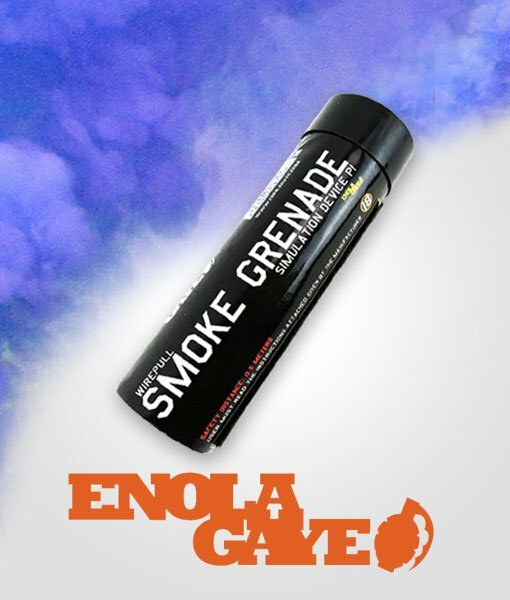 Our Enola Gaye smoke grenades are easy to use, effective and handy in a tight squeeze. These smoke grenades provide the perfect cover with their thick smoke which are available in a variety of colours on the day. Ignite the action with our paint grenades that will unleash thick red paint up to ten metres! 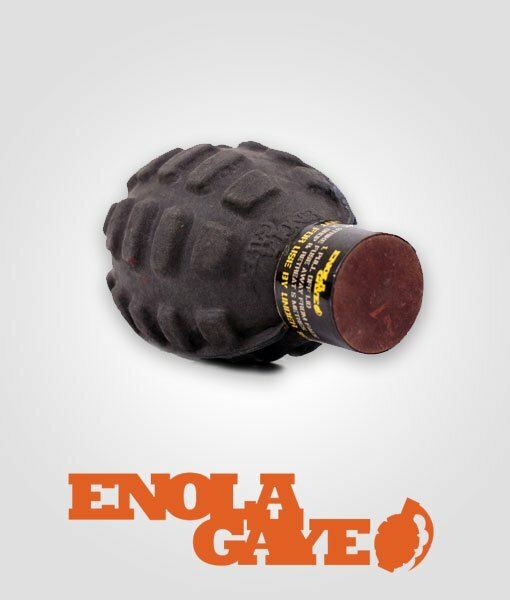 Pull off the top, strike the fuse and deploy against enemy forces to create panic with our Enola Gaye Paint Grenades. 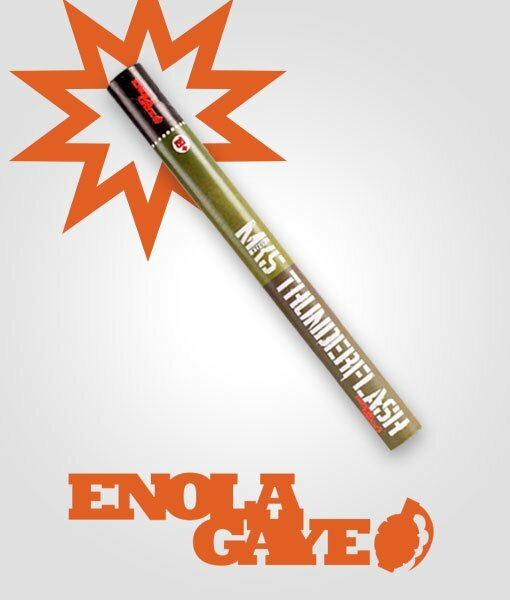 With the MK5 Thunderflash you simply snap off the cap of the grenade and strike it against the fuse inside. You then have a few seconds before it releases the high-pitched noise and explosion.